William Madison Wood. The story of Bryant Baker's Lost Masterpiece begins with William Madison Wood, a textile mill owner in Lawrence, Massachusetts who made his fortune turning around failing mills, but whose life ended in tragedy. Wood's story in some ways parallels the story of oil baron E. W. Marland of Ponca City, Oklahoma, another self-made man who became a patron of American sculptor Bryant Baker. The story of Bryant Baker's Lost Masterpiece begins with William Madison Wood, a textile mill owner in Lawrence, Massachusetts who made his fortune turning around failing mills, but whose life ended in tragedy. Wood's story in some ways parallels the story of oil baron E. W. Marland of Ponca City, Oklahoma, another self-made man who became a patron of American sculptor Bryant Baker. 2 Wood's Beloved Son William Madison Wood Jr.
10 Appendix 2: Tracing the Descendants of William Madison Wood Jr.
10.1 Relatives of William Madison Wood Jr.
10.5 July 13, 2014: Obituary for Anne Wood Spaulding, Daughter of William Madison Wood Jr.
William Madison Wood was born in 1858 in a cottage on Pease Point Way, in Edgartown, Massachusetts, on the island of Martha's Vineyard. His parents were Portuguese immigrants from the Azores and his father, Guilherme Medeiros Silva, was a crewman on a New Bedford whaling ship from 1853 until his death in 1871. William was only 12 years old when his father died, and had to drop out of school and find a job to provide for his mother and younger siblings. “I started to work," said Wood. "That was where my good fortune began. Work is whatever you make it: hardship or happiness, a punishment or a pleasure. I have worked practically all my life and I love it. A man who doesn’t work not only shirks his duty but misses the greatest satisfaction." Fortunately for Wood, a wealthy New Bedford textile manufacturer named Andrew Pierce offered him a job working in his Wamasutta Cotton Mill. Pierce would soon see that hiring young William was one of his best decisions. Pierce was impressed with Wood's work and promoted him to the manufacturing department, where he learned cost structures and figures. In 1876, at the age of eighteen, Wood left New Bedford for Philadelphia. With the help of Pierce, William was able to find a good job with a Philadelphia brokerage firm. This is where he learned about stocks and bonds. After tiring of Philadelphia, Wood returned to New Bedford and worked at a bank. When a Fall River textile company went bankrupt, its new manager hired William as paymaster. In 1885, the Washington Mill in Lawrence, Massachusetts went bankrupt and was purchased by Frederick Ayer of Lowell, Massachusetts. Frederick Ayer and his brother James Cook Ayer were successful patent medicine producers but knew nothing about the textile industry. Ayer's new manager convinced Wood to leave his job and be his assistant in charge of manufacturing. A short time later, 27 year old Wood was promoted to treasurer, and four years later he was made manager. Wood was then making around $25,000 a year, a very substantial amount of money for the time. Within three years of his promotion, William Wood married Ayer's daughter Ellen (eventually making him a brother-in-law to future General George S. Patton). Ellen was well educated; she had studied at a finishing school in France and then attended Radcliffe College in Cambridge, MA. 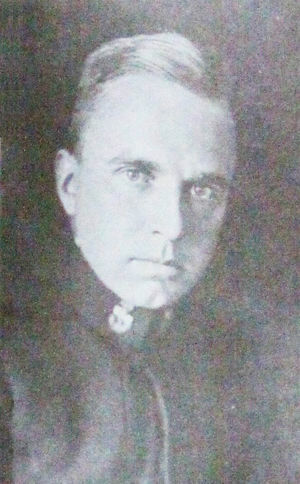 Wood's first son, William M. Wood Jr., was born in Andover in 1892. Wood was determined to make Washington Mill a success for himself and his newly acquired family and after saving the mill decided to move on to even bigger goals. He set out to merge some of the small, struggling mills of New England into one mammoth money-making company. By 1899, William Wood had convinced seven such mills to join what he called "The Woolen Trust." In April of that same year the company was incorporated under a new name the "American Woolen Company." Frederick Ayer bought half of the shares, and Wood purchased the rest. With Ayer’s financial backing, Wood eventually brought together over fifty under-performing mills to reduce competition and increase prices for his products. In 1912, the Lawrence Mill workers, organized and backed by the union, IWW, went on strike. Self-made mill owner William Wood simply couldn't understand how "his" workers could betray him and once urged his employees to believe confidently that "every step that management takes is for the best interests of all." Under a new Massachusetts law Wood was required to shorten the work week for all his employees. Wood did cut the work week from fifty-six hours to fifty-four hours, but he also increased the speed at which the looms ran in order to keep from losing profits. The workers were angry that they were working just as hard and producing just as much as they would in a fifty-six hour week, but only getting paid for fifty-four hours. During the strike, the police found explosives in three different places along the mills. Meanwhile, Wood settled with the strikers, giving them time and a quarter for overtime and thirty cents more a week to piece-workers. The problem was solved for the moment, but the authorities were looking into the explosives. Eventually, by tracing the serial numbers on the dynamite, the authorities received a confession from the mill contractor, Ernest Pittman. He told them that he and another man, John Breen, had planted the explosives to implicate the IWW. Since they were both employed by William Wood, Wood was indicted for conspiracy to destroy the mills. After a long trial, the grand jury found William Wood not guilty on June 6, 1913. It would fall to the next generation of the Wood dynasty to improve labor relations with the mill workers. Wood's Beloved Son William Madison Wood Jr.
Wood's oldest son, William Madison Wood Jr., was born in Andover in 1892. Wood was a good student and won the highest honors in Latin at St. George's boarding school where he was a member of the varsity football team. After prep school Wood went to Harvard Univeristy and majored in sociology. The younger Wood graduated from Harvard in 1915. The elder Wood had promised each of his sons $1,000 if they would not drink or smoke until they had reached the age of twenty-one. Cornelius made an earnest effort but William Jr. joked, "What's the use? We'll get the $1,000 anyway." The older son was a handsome blond with blue-grey eyes, whose good humor was infectious as his sunny disposition. He was his father's favorite and the elder Wood had big plans for William Jr. After graduation from Harvard, William would join the American Woolen Company and would succeed to the presidency when the elder Wood retired. At least that was his father's hope. After graduating from Harvard Wood went to work for American Woolen Company in the Washington Mills in Lawrence. The younger Wood started as an apprentise wool sorter, the lowest level in a mill, to gain experience. It may have been in this period of his life that the younger Wood learned good employer - employee relations and that good working conditions are good business. After starting as an apprentice wool sorter at the mill, he was steadily advanced, being later transferred to the Company's Boston office to learn about the executive end of the corporations's business. In 1916, at age 24, Wood Jr. married Miss Edith Goldsborough Robinson, from an elite Virginia family and with her had two children William Madison Wood III and daughter Doris. The younger Wood was soon entrusted with great responsibility by the company. Though he was only 26 years old at the time the United States entered World War One, Wood was placed in charge of all the company's contracts with the government and in 1917 received the largest order ever placed for textiles with one company. After negotiating a contract with the War Department to provide woolen goods to the American Armed Forces during World War I, Wood resigned from the company and volunteered to enter the US Navy as a seaman. Wood was soon chosen as a candidate for training in the Harvard Cadet School for officers, where he received special commendation from the Commander of the school. After the war the younger Wood returned to American Woolen Company, which had moved to Shawsheen. In 1918 upon the death of his grandfather, Frederick Ayers who was president of the company from 1901 to 1906, the younger Wood was made director and first vice president and would soon soon become his father’s right arm at American Woolen. Largely owing to Wood's suggestions, with which his father was in complete accord, the Company entered upon an advanced and enlightened labor policy by establishing a Labor Department whose object was to bring about closer contact between the Company and its employees and a common understanding of the problems of each. During his apprenticeship in the mill, the younger Wood had come into close contact with the workers whose worth he learned to appreciate and whose confidence he gained by his eagerness to understand their point of view, his sunny dispostion, and his ability to mingle easily with them. 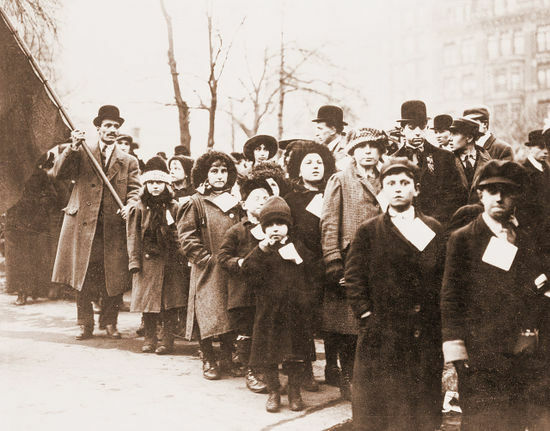 After the Lawrence Textile Strike of 1912 and under the enlightened influence of his son, Wood became more concerned with the welfare of his employees. Wood Sr. had learned the hard way about improving employee relations and welcomed his son’s visionary ideas. "It was the younger Wood who brought his father in closer contact with his workers than ever before," wrote the New York Times in 1926. "He advised him in matters of social welfare affecting the employees, got him to extend insurance benefits, and to organize summer camps, and was instrumental here in the building of the model community for the workers in nearby Lawrence." Like E. W. Marland's Acre Homes in Ponca City, Wood promoted housing for his employees by building a model city called Shawsheen Village near one of his largest mills. While most American company towns were built as housing for mill or factory workers; William Wood's Shawsheen Village was designed as a total community for mill managers and corporate executives. Wood made big plans for his company's headquarters at Shawsheen Village, Massachusetts moving from the previous location in Lawrence. From 1918 to 1923 Wood transformed a quiet residential community into a self-sufficient neighborhood for his employees; it included industrial, residential and recreational facilities. During those years, the First World War kept the woolen industry alive. Wood was swamped with Army contracts that helped his company grow. By 1924, the company owned sixty mills and employed over 40,000 people. Shawsheen Village Historic District is a historic district in northern Andover, Massachusetts. Shawsheen Village was completed in the early 1920s as a planned corporate community. Conceived by William Madison Wood of the American Woolen Company, the village was designed a team of architects including Adden & Parker, Clifford Allbright, Ripley and LeBoutillier and James E. Allen. John Franklin, a civil engineer for the American Woolen Company was responsible for designing the village, under the direction of Wood. Buildings from the original Frye Village were also incorporated into the design which included a railroad station, shops, apartment buildings, factories, parks and numerous single-family dwellings. The village was located just up the road from the Company's main factories in nearby Lawrence. 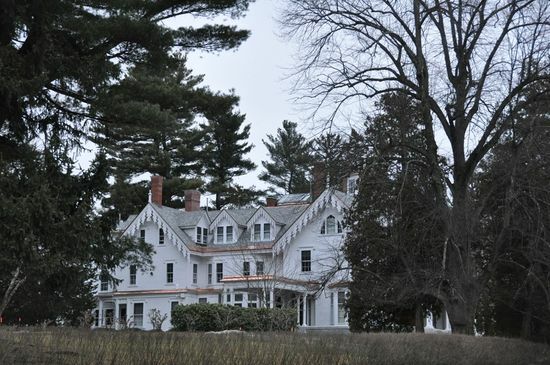 Wood had first come to the area in 1891 when he bought a country home on Andover's Main Street and quietly began buying up property in nearby Frye Village. With profits earned during World War I, Wood was able to achieve his dream: a planned garden community, developed between 1918 and 1924, and named Shawsheen in honor of the early American people who first settled here. The village was roughly divided into three sections. The westernmost of these sections, around the junction of Main Street (Massachusetts Route 28) with Massachusetts Route 133 (Lowell Street to the west, Haverhill Street to the east), was the village center, with shops, a post office. Immediately east of this area, descending to the Shawsheen River, was the industrial area. The first buildings were two woolen mills and a 10-story warehouse, now called Brickstone Square. A new railroad station next to the mills allowed workers to travel in from Lawrence. A workers' cafeteria on Haverhill Street, just across from the plant, fed 800 at each sitting. Much of the food came from woolen company farms in West Andover. The cafeteria was also a movie theater, while the basement contained a bakery and bowling alleys. One residential area was primarily north and west of this central area, and it provided housing for the upper level executives of the Company. The third area was east and south of the industrial area, spilling across the railroad tracks and river, where middle class worker housing was provided. Sprinkled throughout were old houses from the Frye Village settlement that were relocated according to Wood's vision. For his top management, Wood built "Brick Shawsheen," Tudor and colonial style brick homes west of Main Street. Middle managers lived in "White Shawsheen," south of Haverhill Street, in houses that had to be painted white, with green shutters. The houses in both parts of the village were rented to, not owned by, the employees. Wood banned the practice of hanging laundry in yards; he provided a laundry building on Haverhill Street (also now part of the Woodworth complex) for the use of village residents. 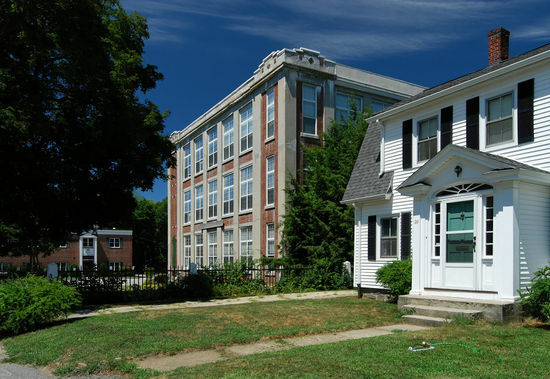 Shawsheen School was built by the town on land donated by William Wood. Recreational facilities included the Bowling Green and the Balmoral Playing Fields, with stands seating 5,000 people, on York Street. A semi-pro soccer team based there, the Shawsheen Indians, won the 1925 national soccer championship. The social hub of the village was the Balmoral Spa, containing a marble-columned "Spa" or drug store, rooms for civic associations, and a small auditorium. Outside was a pavilion where dances were held in warm weather. Wood was being groomed to take over the Presidency of his father's company but in 1919 Wood Jr. announced that he did not want to succeed his father as President in a move that surely hurt and disappointed the elder Wood. "Bill did not like the jealousies that exist in a big company," wrote his younger brother Cornelius. The long cherished dream of William Wood was not to be. Wood Jr. resigned the vice-presidency of his father's company (although he kept his directorship in the company) and went into partnership with Frederick R. Edington to run his own wool merchandising company as the President of Edington and Company. Although he was not engaged long in his own business before his tragic accident, friends says that Wood showed "an ability to push aside details, get to the heart of a problem, and to make quick and accurate decisions. His ability in this direction was recognized by financial men who saw in him a potential industrial figure in the making." 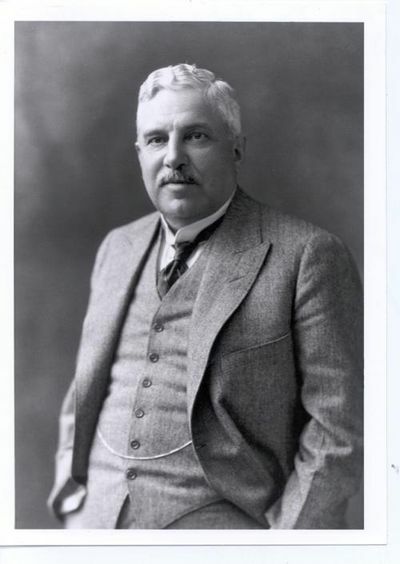 In addition to his directorship in the American Woolen Company, Wood was also a director of the Old Colony Trust Company; president of the Prospect Sales Company of New York, president of the Homestead Association, subsidiaries of the American Woolen Company; president of the Southern Illinois Coal Mining Company, and president of the Burlington Flour Company of Burlington, Vermont. 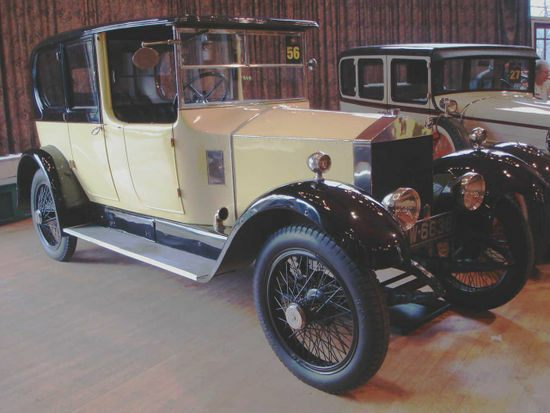 American Woolen continued to prosper in the aftermath of war production but on Tuesday afternoon, August 15, 1923, an automobile accident changed the history of Andover. William M. Wood Jr., the 30-year-old son and heir apparent of his namesake father’s empire, was killed in a car accident. According to the New York Times, Wood Jr. was racing a Rolls-Royce sedan with Major Alexander Gardner and Paul Rice on the Reading-Andover Boulevard in Reading, against a Stutz car at a high rate of speed when it side-swiped another car and crashed into a telephone pole. The Stutz machine did not stop after the accident, but continued with its speed unabated. The fatal race between the two high-powered cars started in Stoneham and in the stretch between near the Reading Centre the machines attained a speed of at least seventy miles an hour. Although they slowed down passing through Reading, witnesses, including several police officers say the cars shot through the center of the town at forty-five miles an hour. The first collision occurred about a mile from Reading Center with Wood's car slightly in the lead, but racing neck and neck with the Stutz. As the two cars sped along a small touring car, going in the same direction, loomed ahead. Wood, still a few feet in the lead, attempted to pass this car, but cut in too sharply, sideswiping and completely overturning the smaller car. Charles McCarthy of Dorchester and John McLean of Boston, who were riding in it, were thrown out, but escaped with minor bruises. Only twenty-five feet beyond the Rolls-Royce side-swiped another small touring car, completely demolishing it. Samuel Ramsey and Edward Brackett, who were riding in the machine were thrown out and injured. This machine was also going in the same direction as the racing cars. With the second collision Wood apparently lost control of his machine, and after careening over the road the machine crashed into a telephone pool. So terrific was the impact that the pole fifteen inches in diameter, was splintered, and the steering wheel, behind which Wood was sitting, was driven into his body with terrific force, the end puncturing his chest. Gardner was crushed between the pole and the wreckage of the machine. Both were dead when aid arrived. The top of the sedan was ripped off, and Rice, who was sitting in the rear seat, was hurled through the opening. The machine, a $15,000 imported affair, was completely wrecked. The driver of the Stutz was arrested and charged with reckless driving and operating his vehicle in a dangerous manner but he said he did not know Wood and denied that they were racing, as did Wood’s surviving passenger. Later a story appeared in the Boston Post that said that an investigation of the accident disproved earlier accounts of the affair and demonstrated that Wood lost his life "in an endeavor to avoid injury to the passengers of an approaching car." According to the investigation, although he was considered a fast driver, Wood had the reputation of being one of the most skillful and expert drivers in New England and was not reckless or careless "as hundreds will testify and many have heard his words of caution to keep their cars under control at cross roads as he did." According to the story in the Boston Post, Wood was not a victim of his own reckless driving, as was first supposed, but of someone else's carelessness and "instead of censure deserved credit". Paul Rice, who was riding in the car with Wood, says that Wood was on the right side of the road and turned out to avoid an oncoming car what was travelling towards him in the middle of the road. According to Rice, Wood, although he turned out for the oncoming car, was unable to avoid the collission and when he turned in again to get on the road once more, the curving surface of the road caused the car to turn over and hit the pole, pinning Wood against it and killing him almost instantly. About a week before he was killed Wood said to Frederick Edington, his partner, "If it ever comes to where I must either hit someone and perhaps kill him or hit a pole and perhaps kill myself, I would not hesitate a minute to do the latter." William Madison Wood Jr. Young Wood was liked by everyone he met, and although it is impossible to predict what he would have accomplished had he lived, with his intellect, amiability, money, and connections it is hard to doubt that his life would have been notable. At West Parish, in a chapel William Wood Sr. had built and in the cemetery he’d improved, the funeral of his son was held. The length of the list of attending notables was predictable, but not predicted was that 10,000 to 15,000 people appeared silently, with heads bowed, as William M. Wood Jr. was interred. Photo: "Find a Grave"
The elder Wood sped to the scene of the accident where according to eyewitnesses, his grief was painful to behold. "Dad was never the same again. He remained obsessed by sorrow," said Cornelius Wood, the younger son. Not even the completion of Shawsheen Village could take Wood's mind off the tragic death of his namesake. The younger Wood had been so involved in the conception and execution of the model corporate community that the village became a daily reminder to the father of his loss. Despondency now affected Wood's mind. "His temper became uncontrollable," said Cornelius. "He muttered ominously to himself." According to Bill Dalton, young Wood was liked by everyone he met, and although it is impossible to predict what he would have accomplished had he lived, with his intellect, amiability, money, and connections it is hard to doubt that his life would have been notable. At West Parish, in a chapel William Wood Sr. had built and in the cemetery he’d improved, the funeral of his son was held. The length of the list of attending notables was predictable, but not predicted was that 10,000 to 15,000 people appeared silently, with heads bowed, as William M. Wood Jr. was interred. "By his untimely death the city and state have lost an exceptionally capable and promising man who gave sure indications of abundant success in his business career," declared a resoltuion by the directors of the American Woolen Company. "His devotion to the best interests of the company and of his employers, his brilliant intellect, his sincerity of purpose, his moral fearlessness, [and ] his prophetic vision combined to make him a powerful influence in promoting the spirit of loyal, courageous, and co-operative workmanship." In addition to his father, mother, younger brother Cornelius, and his sister Miss Rosiland Wood, Wood was survived by his wife Miss Edith Goldsborough Robinson, originally from Louisville, Kentucky and a member of one of the oldest and best known families in the state and his two children, Doris, aged five at his death, and William Madison Wood 3rd, three years old at the death of his father. The youngest of William Wood Sr’s four children, Irene, had died during the Spanish Flu epidemic of 1918-1919. The loss of his son, when added to Irene’s death, was too much for Wood. While vacationing in Havana in the spring of 1924, Wood had a mild stroke and rumors of his impending resignation were vehemently denied by members of the Wood family. A second stroke occurred in the summer of 1924 and left Wood with a pronounced limp in his left leg. On August 9, 1924 while he was recovering, the employees of the American Woolen Company presented Wood with a bronze bust that was unveiled in the main lobby of the Executive Administration Building in Shawsheen Village, but Wood was too ill to attend the ceremony. In late 1924 Wood's personal physician, Dr. Arthur G. Griffin presented Wood with a simple choice: "Resign or Die." Cornelius Wood was present on December 31, 1924 when his father resigned as President of his company and wrote that "thinking only of his welfare, his family and loyal friends, joined by those not so loyal, persuaded Dad to resign. The meeting where he did so was a sad one. The badly shaken old man seated on the couch of the living room at Arden took a pen in hand and affixed his signature to the papers. The signature bore but a faint resemblance to the once decisive "William M. Wood" we were accustomed to seeing." Wood was in a deep melancholy, and two years later, on February 2, 1926, Wood’s chauffeured limousine parked on the side of a Florida Road and the self-made man, who had garnered an unimaginable fortune, stepped away from his automobile and unmade himself. Wood had his chauffeur take him for a drive. Once they were on a deserted road, Wood got out of the car, walked out of his driver's sight, pulled out his .38 revolver, placed it in his mouth, pulled the trigger, and ended his own life. For several days prior to his suicide Wood remarked to his physician "I'd be better off dead" and "life isn't worth living." His health ruined, his spectacular business career abruptly terminated, daughter Irene and son Billy "taken from me, his mind distraught, even unbalanced, Wood apparently saw no reason for living as he walked along the lonely road that seemed to lead nowhere. His body was returned to his beloved Arden where on February 2, 1926, in the aftermath of a blizzard, Wood was buried at the side of his parents, and his two beloved children, Irene and William Madison Wood Jr. Sculptor Bryant Baker was born on July 8, 1881, in London, United Kingdom, to John Baker, a sculptor. His father and his sculptor grandfather both worked on wood and stone carvings at Westminster Abbey. His brother was Robert P. Baker, also a sculptor of note. Baker became an apprentice sculptor under his father, and carved Gothic statues for Beverley Minster and decorative elements for the Victoria and Albert Museum. He studied art and sculpting at the City and Guild Technical Institute and later at the Royal Academy of Arts graduating from the latter in 1910. In 1910, Queen Alexandra commissioned the 29 year old sculptor to create a bust of Edward VII. She was so impressed with his work, that she then commissioned him to design a life-size statue of Edward VII, and later a bust in marble of the nine-year-old Prince Olaf of Norway. In 1916, Baker emigrated to the United States, where he enlisted in the United States Army. He served during World War I in Army hospitals, crafting artificial limbs and face masks for wounded soldiers. Baker became a U.S. citizen in 1923. Baker is best known for his monumental piece titled "The Pioneer Woman." 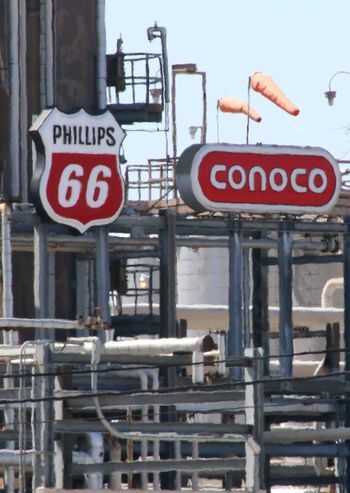 Baker won the commission after a sculptural competition sponsored by millionaire Oklahoma oilman E. W. Marland to create a statue honoring pioneering women of the American Old West and Baker's 27-foot (8.2 m) high, 12,000 pounds (5,400 kg) statue, Pioneer Woman, was later unveiled in Ponca City, Oklahoma. It became Baker's best-known work. In 1923 within a few months of young Wood's tragic death, Baker received a haunting request from the Wood family to create a bronze of William Madison Wood Jr in the hopes that the sculpture could help assuage the pain of the grief-stricken father. The result of the urgent commission was a one-of-a-kind bronze bust of the dead son that shows the young man in all his vitality. "The bronze of William Madison Wood Jr. is so lifelike that the young man appears to be standing before you," says Hugh Pickens. 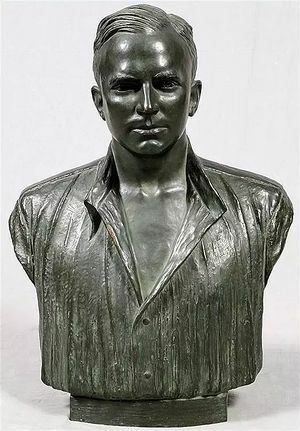 "This life-size bronze bust, signed by Baker on the reverse side, has never been exhibited in public and has been missing since its creation in 1923. Unknown until 2015, the piece is not even included in the Smithsonian's inventory of Baker's life work." "Baker's bronze of William Madison Wood is artistically the equal of any bronze that Baker created in his lifetime and surpasses them all in its emotional impact. The condition of the bronze and the workmanship that went into it is superb," says Joseph Gierek, owner of Gierek Gallery. "Discovered after more than ninety years, this piece is truly Bryant Baker's Lost Masterpiece which has now seen the light of day." Vineyard Gazette. "Mixed Heritage Helped Preserve Cuttyhunk" by Sarah B. Monast. September 18, 2008. The Andover Townsman. "Wood estate could be restricted from development forever" by Brian Messenger. October 18, 2007. Andover Historic Preservation. "276 North Main Street"
New York Times. "Wood Pleads Not Guilty" September 4, 1912. New York Times. "Motion to Acquit Wood is Denied" June 4, 1913. New York Times. "Judge Acquits Wood" June 7, 1913. New York Times. "W.M. WOOD JR. DIES SPEEDING HIS CAR; Instantly Killed With Companion After Wrecking TwoOther Automobiles.RACING NEAR READING, MASS.Five Men Injured in Crashes--Car Competing With Wood's Disappears; Police Seeking It." August 16, 1922. New York Times. "Wood Grieved Over Son's Death" June 4, 1926. New York Times. "William Wood Convalescent" September 11, 1924. New York Times. "Wood Resigns Textile Presidency" December 31, 1925. New York Times. "Wood Resigned to Keep His Health" January 1, 1925. New York Times. "Cornelius Wood Also Quits: Follows Father in Resignation as Officer of American Woolen" February 11, 1925. New York Times. "Wood's Body in Late Home" February 7, 1926. New York Times. "Wood Buried, Notables at Rites" February 8, 1926. New York Times. "Family Gets Bulk of Wood Estate" February 9, 1926. New York Times. "Wood Will Filed: Estate Was $4,187,460" August 11, 1927. New York Times. "Wood Was One of Few Receiving $1,000,000 Salary" September 27, 1927. New York Times. "Wood Estate Brings Suit: Alleges American Woolen Owes $5,000,000" August 11, 1928. New York Times. "Mrs. William M. Wood Dies at 91" July 7, 1951. The Andover Townman. "Death of William M. Wood Jr." by Bill Dalton. January 10, 2013. American Woolen Employees Booster. "The True Story of the Accident" Volume 6-7, 1922. Bulletin of the National Association of Wool Manufacturers, Volume 52. "Obituary for William Madison Wood Jr."
"The Avalon" in Cuttyhunk. 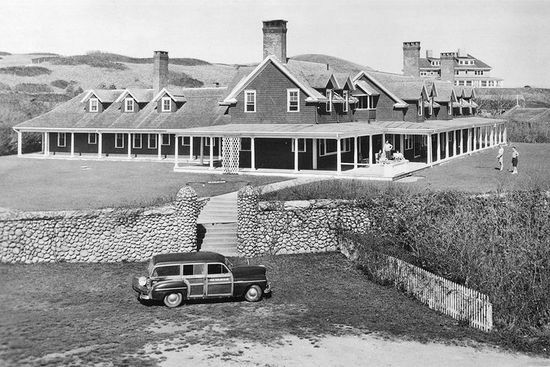 Wood built another mansion, "The Avalon" on the seacoast at Cutthunk. Wood came to Cuttyhunk in 1904, probably drawn by the desire to build a haven far from the bustle of industrial New England. Denied membership in the exclusive Cuttyhunk Club because of his Portuguese heritage, Wood began building a summer mansion at Cuttyhunk in 1909. Like E. W. Marland, Wood had his own mansion, "The Arden Estate" in Andover Massachusetts and another mansion, "The Avalon" on the seacoast in Cuttyhunk. William Madison Wood bought the Arden Estate from the Dove family in 1891 and made extensive additions and alterations to it for the next fiteeen years. Wood lived on the estate 20 years before building Shawsheen Village model community for employees of American Woolen Co. For the Woods and expecially for the children, Arden was their favorite home. Wood had wanted a house close to Lawrence and the Washington Mills and he found it in Andover. The twenty room Carpenter Gothic residence had been built in 1847 for John Dove and after Wood purchased the property he began a series of enlargements that continued for the next fifteen years. Wood added to the house and improved the grounds - a new wing here, a tennis court there, and added several miles of roadways. Wood planted trees, erected hen houses, enlarged the stables, constructed the porte-cochere at the main entrance of the residence and more than liekly added the elaborate gingerbread carving to the bridge roof. Rosiland, the eldest of the Wood children, later recalled, "Arden was our love and joy! There was no place on earth so delightful, or beautiful." According to Edward G. Roddy, the great white house had green shutters, irregular chimneys, and the gingerbread carving, which the children called "icicles" was surmounted by a towering roof. In the center of the roof was a cupola to delight the ehart of any adventurous child. Inside the house an elaborately carved mahagony grand staircase with its polished railing was a challenge to the two boys, who slid down it when Mother was not about. Wood came to Cuttyhunk in 1904, probably drawn by the desire to build a haven far from the bustle of industrial New England. He stayed for several nights at the Cuttyhunk Fishing Club and returned for a second visit. At the time, the island was a thriving fishing village and a seasonal place of lodging for off-island tourists. Despite his wife’s dislike of the remoteness of Cuttyhunk, Wood began purchasing parcels of land in 1905. The Cuttyhunk Fishing Club captivated his interest and he made several attempts to join and purchase the exclusive club, but with no success. The Cuttyhunk Fishing Association was known as The Club to the New York sportsmen who joined a legacy of anglers who had established the organization in 1864. It served as a fishing retreat for elite gentleman. With annual dues around $100, club membership numbered between 50 and 75. Members fished for the plentiful striped bass which ran thickly around the island. The shoreline paralleling the club was dotted with stands built over the rocky shores where members were able to perch over unobstructed water to fish for stripers. While there is no recorded historical evidence explaining Mr. Wood’s rejection from the club, islanders and historians believe that despite being an ideal candidate for membership — elite and successful — Wood’s ethnic background was a factor in the rejection. A scholarly journal published by the Portuguese-American Society documented his Portuguese heritage. Denied membership in the exclusive Cuttyhunk Club because of his Portuguese heritage, Wood began building a summer mansion at Cuttyhunk in 1909. Situated on a high knoll with a commanding view of Vineyard Sound, the Avalon was built in 1909 by Wood who implemented his visionary plan of burying all of Cuttyhunk’s power lines underground to ensure continued power during hurricanes, and installed the current power plant. By 1912, the Wood estate, called Avalon, was complete and cast its shadow over the fishing club lands. In 1918, during the last year of WWI, Wood turned the Avalon over to his daughter, Rosalind Wood who worked with the American Red Cross to create a convalescent hospital for wounded Allied officers at the Avalon. The mansion offered healthy surroundings, the finest of care, medical equipment, relaxation, and amusements to wounded Veterans for two years. Appendix 2: Tracing the Descendants of William Madison Wood Jr. Relatives of William Madison Wood Jr.
Boston, August 31, 1927. Mrs. Edith Robinson Wood, daughter of Mr. and Mrs. Archibald Magill Robinson of Louisville, Ky. and widow of William Madison Wood Jr., son of the later president of the American Woolen Co., was married on Monday to Harry Boone Porter in the chapel of St. Thomas Church, New York City, according to word received here today. Only immediate relatives witnessed the ceremony. Mr. and Mrs. Porter sailed at once for Europe on the steamship Resolute and on their return will live in Louisville. Mrs. Porter's wedding to Wood in Louisville in 1915 was one of the social events of the season there. Mr. Wood was killed in an automobile accident near Andover in 1922 in which another man also met death. This map shows the Springdale community in 1913. The 1931 estate of Harry Boone Porter, founder of the Porter Paint Company, and his wife, Edith Robinson Wood Porter. It has been maintained as a large country estate that is actively farmed, with landscape preserved. July 13, 2014: Obituary for Anne Wood Spaulding, Daughter of William Madison Wood Jr.
Harry Boone Porter, Jr. (January 10, 1923 – June 5, 1999) was a priest and editor of The Living Church magazine. Porter was an alumnus of St. Paul's School (Concord, New Hampshire). He received his bachelor's degree from Yale University in 1947 and his S.T.B. from the Berkeley Divinity School in 1950. Porter was made deacon on April 12, 1950, and ordained to the priesthood on April 16, 1952. From 1950 until 1952, Porter was a fellow and tutor at the General Theological Seminary of the Episcopal Church, from which in 1952 he received an S.T.M. He earned his D.Phil. from Oxford University in 1954. He taught Ecclesiastical History at Nashotah House, 1954–1960, and he was Professor of Liturgics at General Seminary from 1960 until 1970. He became editor of The Living Church magazine in 1977, retiring in 1990. In 1996, he received a master's degree in Environmental Studies from the Yale School of Forestry & Environmental Studies. In addition to many other responsibilities in the Episcopal Church, Porter served on the Standing Liturgical Commission from 1961 to 1976, and the General Board of Examining Chaplains from 1970-1982. 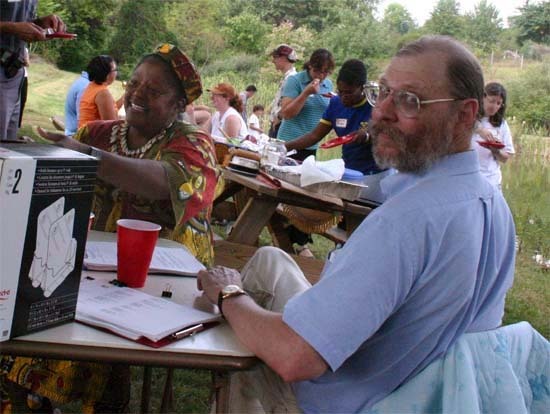 He was a member of Associated Parishes for Liturgy and Mission, the Anglican Society, the Alcuin Club, and the Living Church Foundation, Inc. Porter died in 1999, in Bridgeport, Connecticut. PORTER-H. Boone. The Rev. Dr. Canon H. Boone Porter, one of the Episcopal Church's most influential priests and thinkers and whose many achievements include the 1979 revision of the Book of Common Prayer, died on Saturday, June 5. An author, artist, educator and philanthropist, he was 76 and lived in Southport, Connecticut. The vision of the Rev. Dr. Canon H. Boone Porter's 44 years of ordained ministry aimed to revitalize the Episcopal Church through education, liturgical reform and inclusion of its marginalized members. His work of raising up new leadership, enriching Christian worship and creating a central place for women, Afro-and Native Americans and rural communities in the Church was often opposed but succeeded in redefining the Episcopal Church's relationships within itself and with the world. The Rev. Ralph McMichael, a noted professor at Nashotah House Episcopal Seminary near Milwaukee, Wis., recently commented: "Dr. Porter's ministry has been, and continues to be, so rich and varied that it is hard to designate his legacy in the Episcopal Church in one or two ways. He is liturgical scholar, professor, pastor, editor and missioner. He has shaped our liturgy, our parishes, our prayer book, our publications and our view of ministry and mission of the Church. A descendant of the family of early American explorers, the Boones, Dr. Porter was born in Louisville, KY into a prosperous business family (his father founded the Porter Pain Company) and showed an early interest in the beauty and mystery of nature and humanity. He attended St. Paul's School in Concord, NH and his study of art and philosophy at Yale College in the 1940's was interrupted by World War II. He fought in the Pacific Theater, where he served with Army Intelligence during General MacArthur's campaign to retake the Philippines and occupy Japan. After the war, Dr. Porter completed his studies at Yale and entered the Berkeley Divinity School, also in New Haven. There, under the direction of Dr. Edward Hardy, he began his study of liturgy and worship that later became his foremost and world renowned expertise. This led him to read for a doctorate in early Christian baptismal rites at Oxford University in England in 1952. In 1954 he returned to the United States to teach Church History at Nashotah House Episcopal Seminary near Milwaukee, WI. Four years later, Dr. Porter became the first tenured professor of liturgy at General Theological Seminary in New York City, the Episcopal Church's oldest theological seminary. There he served on committees at the Episcopal Church's National Headquarters, 815 Second Avenue and his graduate program liturgy attracted and shaped key people in the next generation of Church leadership. H. B. Porter, 76; Revised Episcopal Prayer By WOLFGANG SAXONJUNE 11, 1999 Continue reading the main storyShare This Page Share Tweet Email More Save The Rev. Dr. Canon H. Boone Porter, an Episcopal theologian and liturgical scholar who played a leading role in modernizing the church's Book of Common Prayer in 1979, died on Saturday at Bridgeport Hospital in Connecticut. He was 76 and lived in Southport, Conn.
Dr. Porter was an influential member of the Standing Liturgical Commission, the panel of church experts who worked from 1960 to 1976 to revise the wording of the holy communion service into plain, common, modern English. He became a principal architect of the revision, writing most of Eucharistic Prayer A and part of Prayer B, alternative versions of a major part of the ritual of consecrating bread and wine. At his death Dr. Porter was senior editor of The Living Church, a weekly magazine, to which he contributed articles until this year. He was the magazine's editor and general manager in Milwaukee from 1977 until 1990. Earlier, Dr. Porter taught at the Episcopal Church's General Theological Seminary in New York. He was named a professor of liturgy in 1960, when he established the first doctoral program in liturgical studies in the United States. In 1970 he joined with former students, many of whom had become church leaders, to explore the possibilities of liturgical renewal that they hoped would reach out to minorities and rural Americans. The group worked on redefining the Episcopal Church's relationships with its members, an effort reflected in the wording of the new Book of Common Prayer. The work of Dr. Porter and his committee was extensive and sometimes controversial because of how much the 1979 revision differed from centuries-old forms. The revised prayer book offers two alternative versions of the communion service, Rite I and Rite II, and the Eucharistic Prayer in four versions is in Rite II; the prayer is also called the Great Thanksgiving. All Glory be to thee, Almighty God, our heavenly Father, for that thou, of thy tender mercy, didst give thine only Son Jesus Christ to suffer death upon the cross for our redemption; who made there, by his one oblation of himself once offered, a full perfect, and sufficient sacrifice, oblation, and satisfaction, for the sins of the whole world. Holy and gracious Father: In your infinite love you made us for yourself; and, when we had fallen into sin and become subject to evil and death, you, in your mercy, sent Jesus Christ, your only and eternal Son, to share our human nature, to live and die as one of us, to reconcile us to you, the God and Father of all. He stretched his arms upon the cross, and offered himself, in obedience to your will, a perfect sacrifice for the whole world. After leaving Milwaukee, Dr. Porter, who was over 70 at the time, became a part-time student at the Yale Forestry School and received a master's degree in environmental studies in 1995. Harry Boone Porter was born in Louisville, Ky., to a prosperous family that founded the Porter Paint Company. He graduated from Yale in 1947 and entered Berkeley Divinity School in New Haven to start his studies of liturgy, graduating in 1950. He received a master's degree in theology from the General Theological Seminary in 1952 and a doctorate from Oxford University in 1954. Dr. Porter began his teaching career at Nashotah House Episcopal Seminary in Wisconsin, where he taught church history, before returning to General Theological as its first tenured professor of liturgy. His courses attracted members of the next generation of church leadership, and while in New York he also sat on committees of his church's national headquarters in Manhattan. He is survived by his wife of 52 years, Violet Monser Porter; three daughters, Charlotte Porter of Island Grove, Fla., Gabrielle Dennison of Southport , and Clarissa Porter of Fairfield, Conn.; three sons, H. Boone 3d, of Prairie Village, Kan., Michael T., of Summit N.J., and the Rev. Canon Nicholas T. Porter of Paris; a stepbrother, William Wood of Captiva Island, Fla.; a stepsister, Doris Spaulding of Louisville, and eight grandchildren. When Rosalyn Kempton Wood came to Andover in 1972 from Atlanta,Georgia she married into Merrimack Valley royalty. Her husband, Reverand Cornelius A. Wood Jr., was the grandson of Ellen Ayer Wood and William Madison Wood, president of the American Woolen Company and owner of the Wood Mill in Lawrence in Shawsheen Village. Ever since, Wood, 77, has done well to keep their memories alive, their wishes respected and goodwill spread on their behalf, as well as her own. "The Wood family made a lot of money in Lawrence, or the whole Merrimack Valley, for that matter," she said. "It's sort of pay back time, in a way. I feel like our resources need to go back into the community, which they always have been doing." Chances are, most residents have been touched in one way or another by a project made possible thanks to Wood's generosity - whether it be at Esperanza Academy, or the newly renovated Andover/North Andover YMCA, or even Greater Lawrence Family Health Center, just to name a few. These days, Wood doesn't mind publicizing that the support comes from the Wood family, as she's doing it in their memory. But back in the day, she said, they didn't attach their name to all their support. "They weren't like Donald Trump." If you ask her, she's just doing what's right. "I think resources are God given, and it's up to you to use them to the betterment of the community," Wood said. She's held true to that belief for many years, supporting local communities in large, surmountable ways through a combination of the Wood trusts and her own, personal funds. In June, the Greater Lawrence Family Health Center (GLFHC) announced that it is establishing an award in honor of Wood, who is "known throughout the Merrimack Valley for her inspirational leadership to women and women’s issues." They credit her with helping the center achieve their mission to provide quality primary healthcare to almost 60,000 patients in Greater Lawrence. The award will be presented annually to women who share the vision of female empowerment in the region. The inaugural award will be presented to Ms. Wood on Oct. 15 at GLFHC's In Pink Event, and will be awarded annually "to women who share the vision of female empowerment in the region." When her husband, "Connie" Wood, passed away in 2004, Wood was introduced to Esperanza Academy, at that time still two years away from opening as Lawrence's first and only middle school for girls. She joined the board, and from there, her heart was invested. She soon became the school's biggest benefactor, initially pledging $1.2 million to open their doors in 2006. Later, in 2014, Wood established the school's endowment. These days, this year marking their 10th anniversary, the school has reached a 100 percent graduation rate. It's just one example of many. "(Her) support of local charities is remarkable," said Mary Lyman, events specialist and donor relations manager at Greater Lawrence Family Health Center - and good friend to Wood. "And what she's done for us is outstanding, as well as for YMCA. That's why they have the addition - it's thanks to Rosalyn." The list goes on, including donations and support to the Andover/North Andover YMCA, the Boys & Girls Club, Neighbors in Need, Jericho Road, Essex Art Center, the Lawrence YMCA, the Lawrence Performing and Fine Arts High School, the Andover Historial Society and Christ Church in Andover. Julie Ireland Childs of Christ Church would certainly call Wood not only a philanthropist, but a good friend, and one who will "call a spade a spade" and "is very real and has maintained a special touch of her southern heritage." "Rosalyn is one of the most interesting and definitely the most charitable woman I have had the pleasure of befriending," Ireland Childs said. "She inspires me to be a better person and contribute more of my resources to local non-profits. Her philanthropy extends far beyond the walls and organ loft at Christ Church. Her financial support has altered the fabric of so many organizations and impacted hundreds of lives in the Merrimack Valley." ↑ Worthingdale and Springdale y Carol Brenner Tobe. ↑ Boston Globe. "Obituary for Anne Wood Spaulding" July 13, 2014. ↑ Wikipedia. "Harry Boone Porter Jr." retrieved December 27, 016. This page was last modified on 10 April 2018, at 23:51.